The benefits payable on your disablement are provided for by separate insurance policies that fall outside the ambit of the UCTRF. The UCTRF Board, however, govern this separate arrangement, as it is associated to the UCTRF. When will I receive a disability benefit? Disability means you are not able to continue with your everyday job due to injury or illness. This can be temporary (where you cannot work for a few months), or permanent (where your chances of recovery are slim). This benefit is not applicable if you are an eligible contract staff member whose contract started before 1 July 2017. All other members of the UCTRF will have Disability Income Benefit cover. The disability income benefit is only paid once you have been disabled for a period of 6 continuous months. 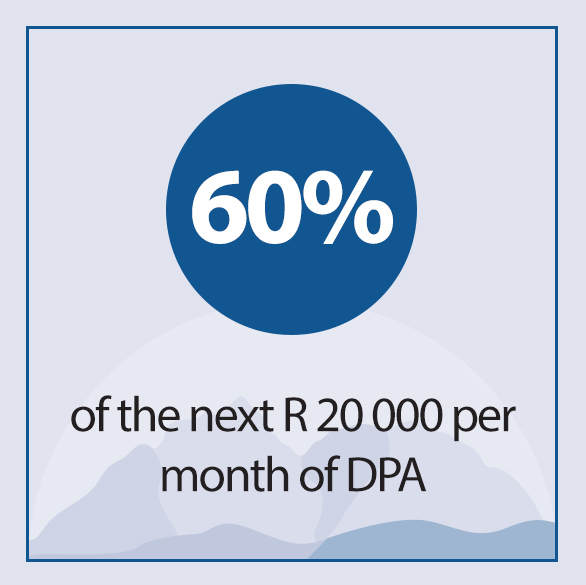 You will need to rely on your sick leave to "bridge" this 6-month period to the greatest extent possible unless the Insurer waives this waiting period based on the severity of disablement. After a further 12 months (i.e. 18-months after you became disabled), the Insurer will reassess your disability, but this time against the criteria of whether you are able to perform your job, or any similar job that you could do by virtue of your experience, training, education and age, with any Employer. This benefit is tax free (but the premium is taxed). Under what circumstances does this benefit cease? If, at any time after the benefit has commenced, the Insurer considers you fit to return to work (against the definition of "own occupation" for months 6 to 18 and thereafter "own or similar occupation"), the benefit will cease and you must return to work. The benefit will also cease if you were to die or at the end of the year in which you reach age 65 (or age 60 if you were on this income continuation scheme before 2007), at which time you would receive your Retirement Benefits. 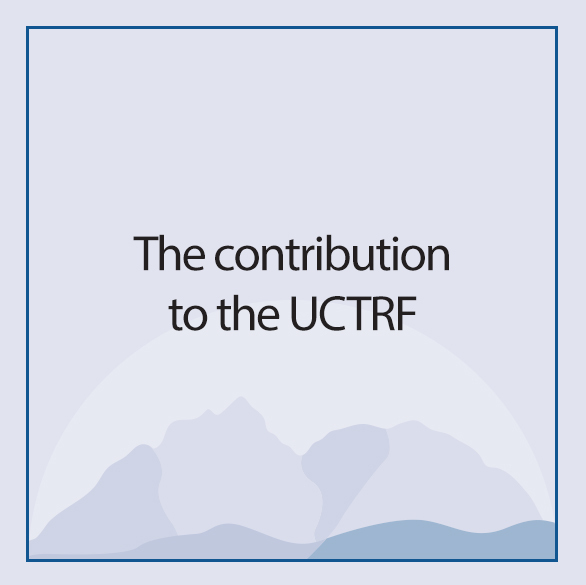 Importantly, you remain a member of the UCTRF whilst you are in receipt of a disability income benefit. 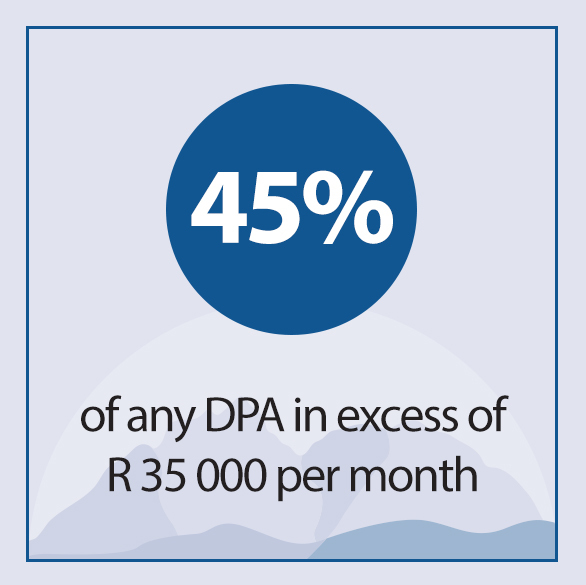 This means that if you were to die, your dependants would be entitled to a death benefits based on your DPA. Should you retire, you will be entitled to the Retirement Benefits. This means that the Employer will continue to pay contributions to the UCTRF whilst you are receiving a disability income benefit. 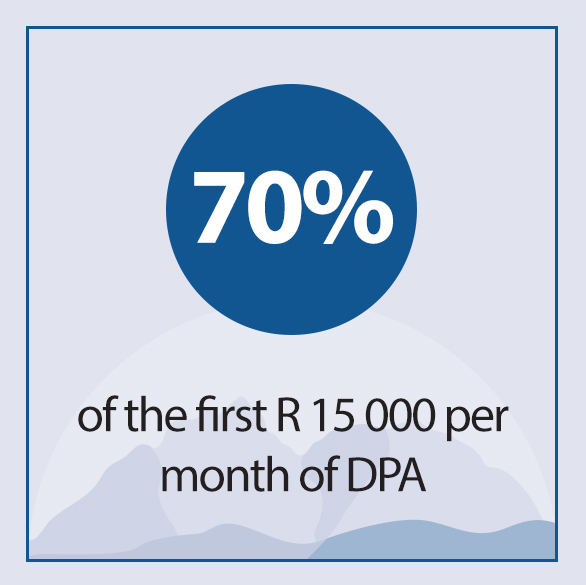 The UCTRF will credit your Accumulated Retirement Savings with the same percentage contribution based on your DPA as for working members. What lump sum disability benefit is payable? In addition to the disability income benefit, a lump sum disability benefit may be paid once you have been disabled for a period of 6 continuous months. 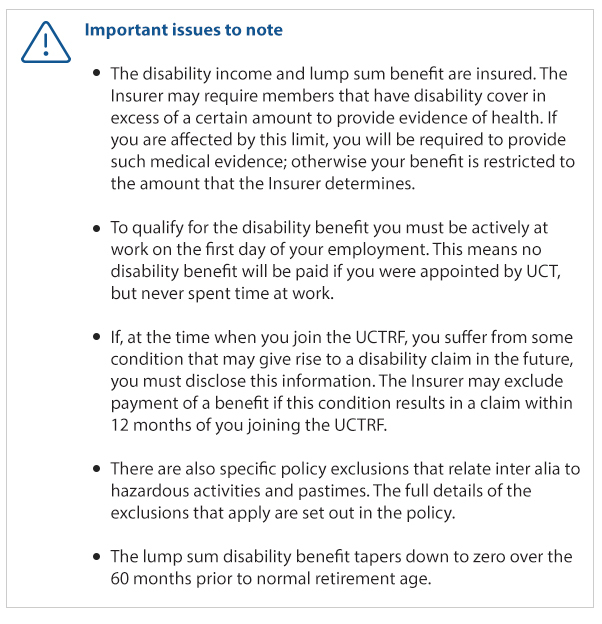 You will qualify for the lump sum disability benefit if, after the expiry of this 6-month period, the Insurer considers that you are totally and permanently unable to perform your job, or any similar job that you could do by virtue of your experience, training, education and age, with any Employer. The benefit is equal to your Separate Death Benefit. If you receive such a benefit and subsequently die (whilst in receipt of a disability income benefit), no further benefit is payable from the separate Death and Disability Policy.